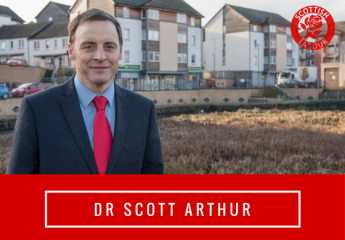 All of Edinburgh’s Councillors must stand up to the Scottish Government to protect services. Given that the SNP needed Green support since the 2016 election to pass these cuts on to Edinburgh, it’s a little rich for Cllr Gavin Corbett to use the pages of the Evening News to suggest “the Council should press the Scottish Government much harder on ways in which council funds can be increased”. His position appears to be that the Tourist Tax can be used to back-fill a small part of the budget black-hole. He should be demanding Edinburgh gets the power to set a Tourist Tax on top of a fair settlement, not instead of it! Nonetheless, I hope the Greens in Holyrood have more luck than Council Leader Adam McVey in getting Edinburgh the tourist tax. So far McVey’s failure, and I recognise he has tried, to have any sort of influence over his own party in Holyrood has cost our Capital up to £40m. As stark as the funding crisis is, we should not accept that the cuts are inevitable. For every minute we spend planning which services should be cut and wringing our hands about the over 600 net job losses expected, all of Edinburgh’s Councillors should be spending an hour opposing these cuts. No group in Edinburgh has more influence over the SNP Government on this issue than that led by Cllr Adam McVey, but the silence from them is deafening. There has been complete silence about the impact of these cuts on education, transport, housing and social care from his SNP group members who are happy to accept “Special Responsibility Allowance” payments to be spokespeople on these briefs. No doubt they will all have plenty to say at this weekend’s pro-independence march in Edinburgh. ← Major Roadworks in Colinton Mains – Oct-Dec 2018.